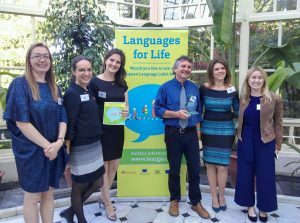 We are proud to announce that the HELP consortium has been awarded the European Language Label 2017 in the Project category. 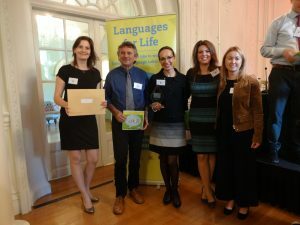 European Language Label award is a prestigious recognition and was presented at a public ceremony on 29 September 2017. The European Language Label is coordinated by the European Commission and in Ireland it is managed by Léargas. 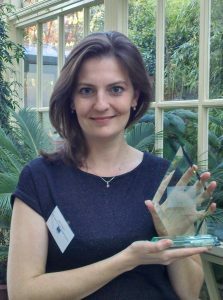 The label recognises outstanding achievement in the teaching or learning of languages. This category recognises creative initiatives that improve teaching provision and learning achievement. Our project is based on innovative learning environments, and brings added value to participants in terms of competence and motivation. Evidence of institution-wide support for the project and its overall impact also strengthened our application and contributed to HELP winning the category. See the official ELL booklet here and watch a promotional video from Laergas here. We are proud we can offer high-quality outcomes recognised with a prestigious award.